On the beach of the Peter and Paul Fortress there is a huge tent with ice sculptures inside it. The traditional winter exhibition is open since the end of December and keeps welcoming guests until the 4th of February. The square of the tent is 20 percents bigger than last year. The amount of ice spent for making statues is 180 tons. 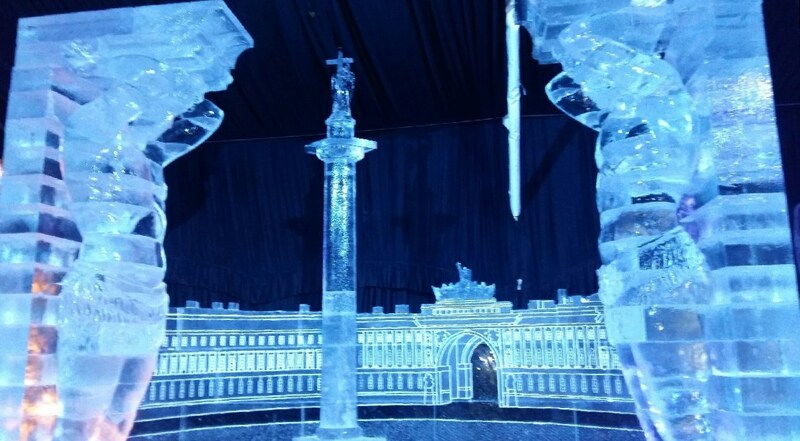 The compositions are made of ice and depict the city's architectural landmarks in minuature, hiroes of Russian fairy tales and cartoons. The sculptures in the fortress in the Narishkin bastion are kept in the darkened tent and lit up by all colours of the rainbow.